Pittsburgh Steelers offensive tackle and former Army Ranger Alejandro Villanueva stands for the national anthem. A former Army Ranger, Villanueva was the only player from the team to break from the coach’s orders and come out of the tunnel Sunday in Chicago to stand for The Star Spangled Banner. Tomlin told the media prior to kickoff Sunday the Steelers would not come out of the locker room for the national anthem, adding the intent was to have his team focus on the game and not President Trump’s comments blasting players who chose to protest during the playing of The Star Spangled Banner. "I was looking for 100 percent participation." 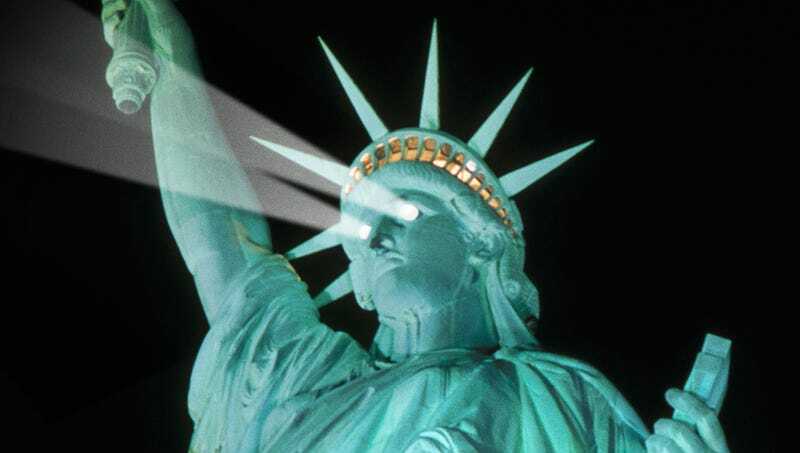 “We’re not politicians. We’re coaches and professional athletes," Tomlin said Sunday. "If those of us or individuals choose to participate in politics in some way I’m going to be supportive of that. But when we come out of locker rooms, we come out of locker rooms to play football games." 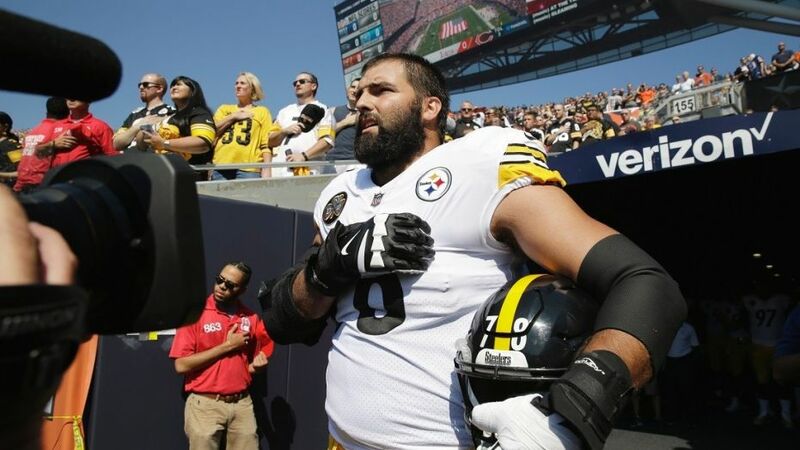 “I don’t know if the most effective way is to sit down during the national anthem with a country that’s providing you freedom, providing you $16 million a year...when there are black minorities that are dying in Iraq and Afghanistan for less than $20,000 a year," Villanueva told ESPN in 2016. Broncos defensive end Derek Wolfe also told the sports broadcaster that he would be standing during the national anthem Sunday because he wanted to be "paying tribute to the men and women who have given their lives for our freedom. "I stand because I respect the men who died in real battle so I have the freedom to battle on the field... but everyone these days likes to find a reason to protest and that’s their right," Wolfe told ESPN, according to The Washington Post.